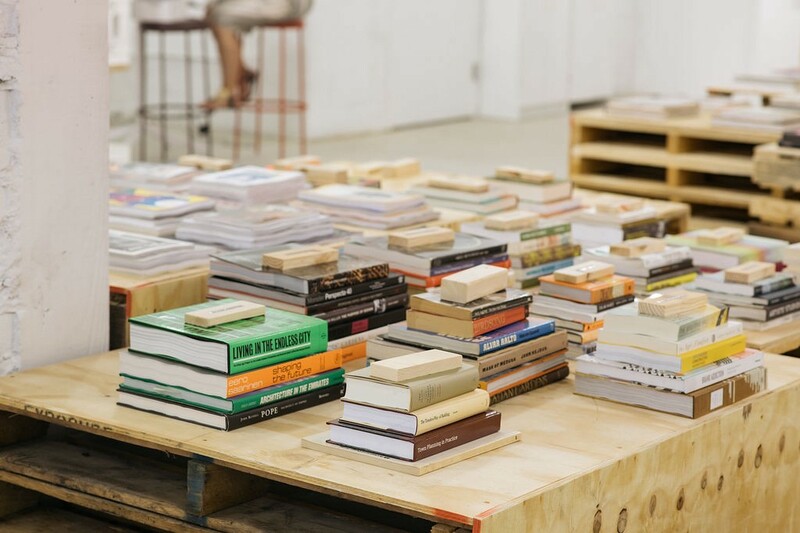 Alison Beshai is the designer behind Resource, a pop-up library near Union Market that houses a carefully curated selection of books and magazines on design of all kinds, from architecture to advertising. She’s lived in DC for 5 years, working with creative agency Form Function and partnering with Locale Workspace. We spoke with her about the DC creative scene, the process behind the pop-up, and the impacts of making design accessible. For all the stereotypes of DC as a khaki wasteland, we have a thriving creative community. 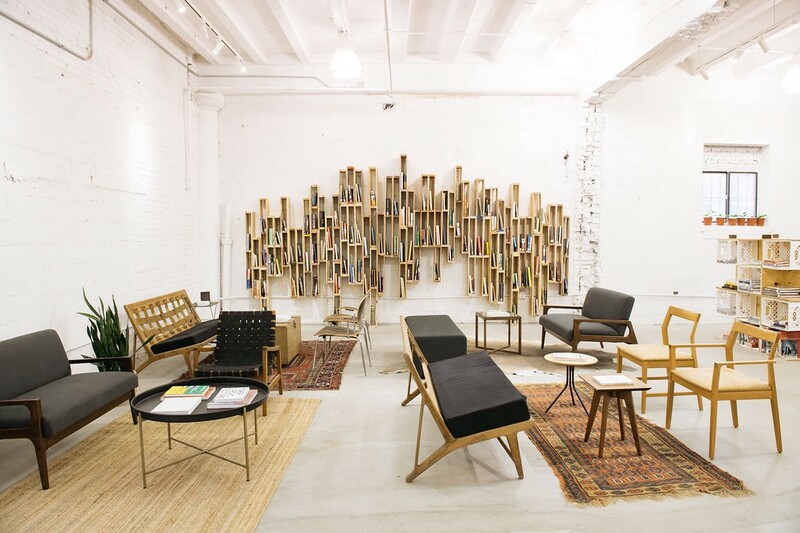 What makes the design scene in DC unique? I personally think DC is both a khaki wasteland and has a growing creative community. To me, those two things are not mutually exclusive here. The design scene in DC consists of both corporate and independent designers and what I think could be unique is the opportunity for the two to meet and work together more often. I was excited that I got to do that with Resource. International architecture firm Gensler was my underwriter and designer of the interior of the space, but I also worked closely with Composite Co. (a small local studio) on all of the branding, graphics and signage. For non-designers in DC: if you value having a creative community in your city then it’s important that you hire creatives and pay them what they are worth. 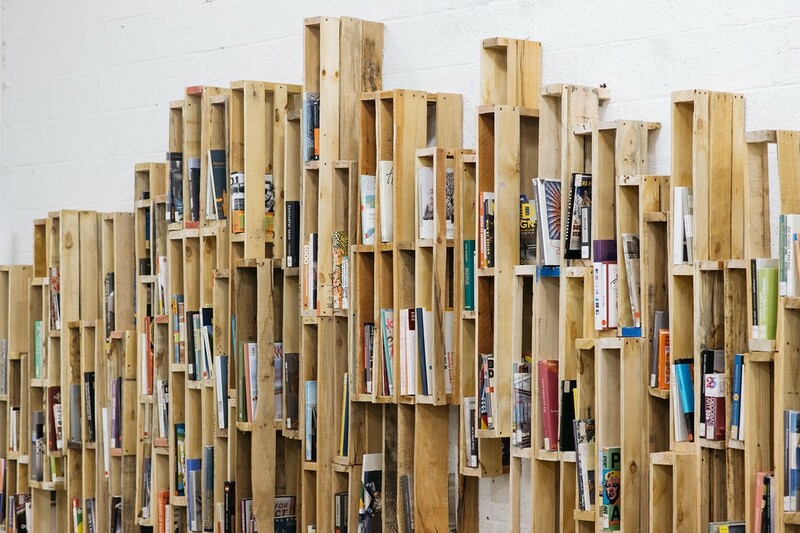 The library includes materials on all aspects of design, from cities to furniture design to illustration. What was your process in choosing subjects? What was the role of the partners you collaborated with? I didn’t necessary choose the subjects, but rather curated a selection from what was provided to me from our lenders and donors. More than half of our books came from DC Public Library and I personally hand-selected each and every one of those. I wanted them to be both relevant and diverse , and also showcase that design isn’t just architecture or graphics — it’s also comics and fashion and advertising, etc. Woah, I’ve never seen that Lidl pop-up! It’s amazing! I wanted to create a space where design print was accessible for free. 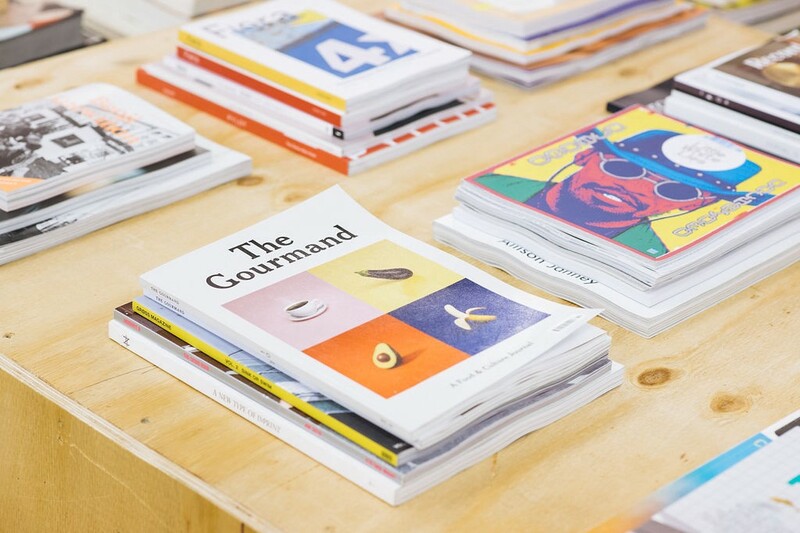 Design books and magazines can be expensive (rightfully so), but that creates a higher barrier for entry, especially for non-designers looking to learn or explore. DC Public Library has an amazing collection of design books — I should know, I pulled 300 of them for this project — but they are spread out across many branches. My hope in creating this project was that both a designer and someone who knows absolutely nothing about design could have equal access to these books, and possibly promote and change thinking around design as something that is in all of our daily lives, and not an esoteric or exclusive thing. 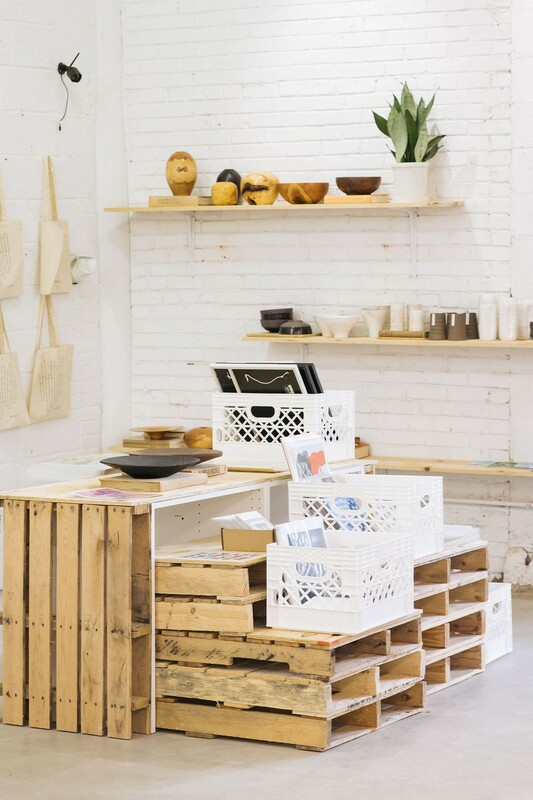 Can you talk about the significance of a pop-up creative space? What are the benefits and drawbacks of fostering community around art in this kind of liminal space? Pop-up spaces are both critical and dangerous, in my opinion. They are an amazing tool to allow for proof of concept for an idea, potentially giving it the legs/momentum/funding for a second phase or a permanent home. But I also worry that the impermanence of some creative spaces might lead people to think that a short-term project is enough to say something creative was done. Speaking of which, we’ve had a slew of art spaces closing around DC, so this project — even if it’s temporary — feels especially meaningful. What’s the significance of having intentional, design-centric spaces right here, right now? How are you hoping people will interact with the space? It’s hard to see the creative spaces close — I’m happy that I can provide one (and for free! ), even for just two months. When thinking about how the space would be used, my dream was that people would come here and stay for hours, reading and discovering books. My hope is that the space and all the printed matter within it will help people think about design differently and more often. If we can start by exposing people to the impact of design and showing the power of creative and non-consumer-driven spaces, maybe they will start to demand that of other spaces and experiences in the city as well. If enough people want something, businesses will figure out a way to give it to them — so I think the change starts with us. Resource runs til November 18, open 1–6pm Wed-Thurs, 11am-6 pm Fri-Sun. The space is also available for design events and workshops, so get in touch. Check the calendar and subscribe for updates. Images courtesy of Kate Warren.